Research on crime and justice reporting refers conceptually to news value research, but has so far barely examined news values. This article addresses this gap in research and explores to what extent the news factor public response (first presented in Medien Journal 2013 / 2) is of importance in studies on media and justice. For this purpose, a content analysis of the Swiss media coverage of the ‘Carlos case’ was conducted. This case deals with a juvenile offender who was put in a resource-intensive open placement (special setting). From 2013 to 2014, this case was one of the biggest domestic topics in the German-speaking Swiss media. It is a striking example of the reciprocal effects of news media on decision-makers from the judiciary and politics. On the basis of existing concepts and studies, it is not yet possible to sufficiently explain how this case gained such momentum. Using the news factor public response, this study examines how news media explicitly reported on public attention and public reactions triggered by the ‘Carlos case’. The analysis shows that public response was addressed in most news articles and was already emphasized in early media reports in a generalizing and metaphorical way. On this basis it is discussed how vivid and oversimplified journalistic descriptions of public response can influence the course of media debates on criminal cases and offenders as well as the relationship between the judiciary and the public. Fürst, Silke. 2019. „"Die Volksseele Kocht!" Eine Inhaltsanalytische Untersuchung Des Nachrichtenfaktors Öffentlichkeitsresonanz Im "Fall Carlos&quot“;. 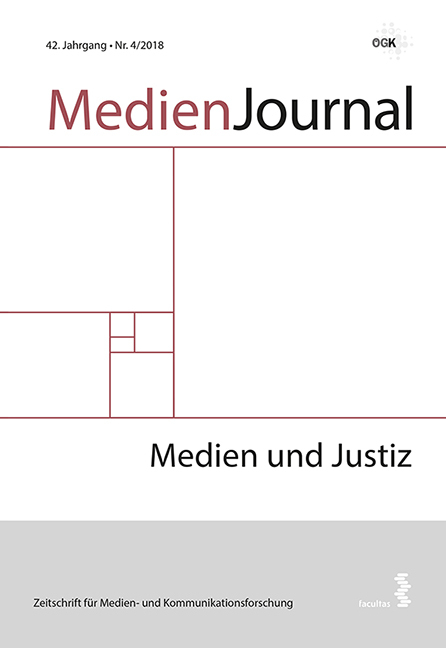 MedienJournal 42 (4), 55-74. https://doi.org/10.24989/medienjournal.v42i4.1762.